Den nya PU-1109 skickar HDMI över EN Cat6 kabel. Deesutom kan du på mottagarplatsen ta ut 3 st nätverksutgångar om du har anslutit ditt nätverk till sändaren. Den kombinerar alltså IP-trafik med HDMI-överföring vilket är väldigt nytt. The PU-1109-KIT features 5Play HDBaseT™ technology. 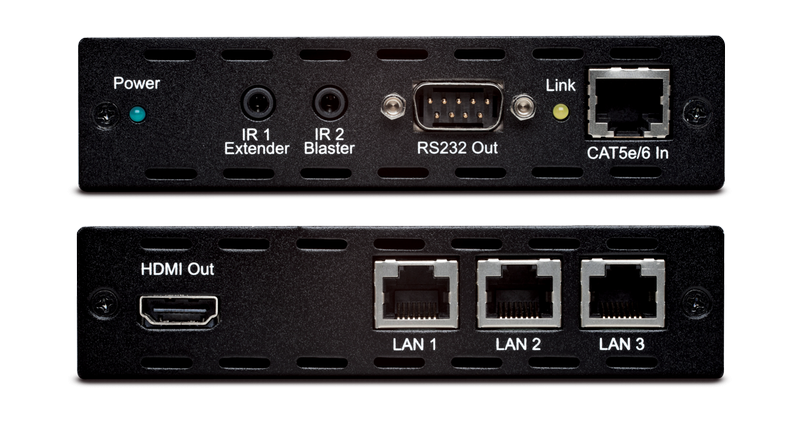 This will allow the user to distribute uncompressed HDMI, 2-Way IR, 2-Way RS-232, PoE and 3 individual LAN connections over a Single CAT6 cable, to lengths of up to 100m. v1.4 HDMI, HDCP & DVI compliant. 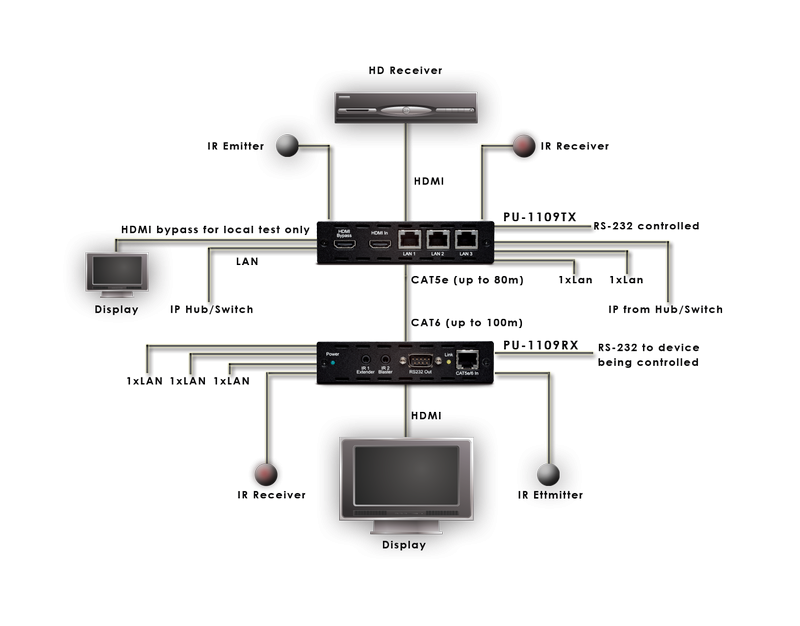 Supports HDCP repeater and CEC functions. 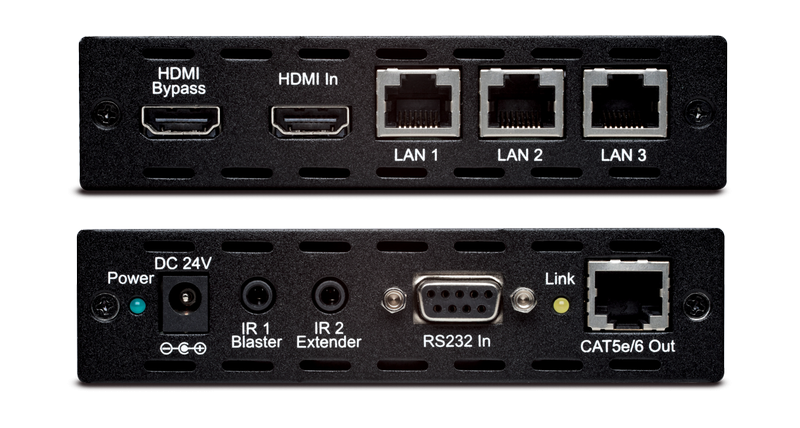 Simultaneously sends uncompressed HD Audio and Video signals, plus IP network data over a single 100m CAT6 or 80m CAT5e cable. Resolutions supported: Uncompressed video up to 1080p 60hz, 48bit, plus 4K x 2K. HD audio supported: 7.1CH, Dolby TrueHD, DTS-HD. Ethernet speed up to 100Mbps. RS-232, IR, and HDMI CEC control pass through. Uses 5Play Convergence for maximum distribution performance.